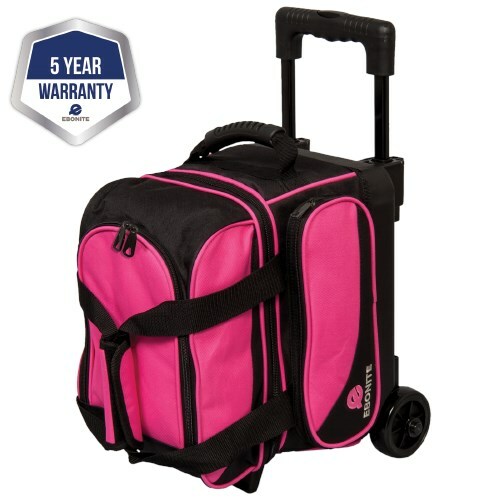 This Transport I Series 1 Ball Black/Pink Roller is easy to roll around the bowling alley with its nylon handles with padded wrap, and smooth thru-wheels. The large zippers makes it very easy to open and put your bowling ball and all your accessories inside. Due to the time it takes to produce the Ebonite Transport I Single Roller Pink ball it will ship in immediately. We cannot ship this ball outside the United States.